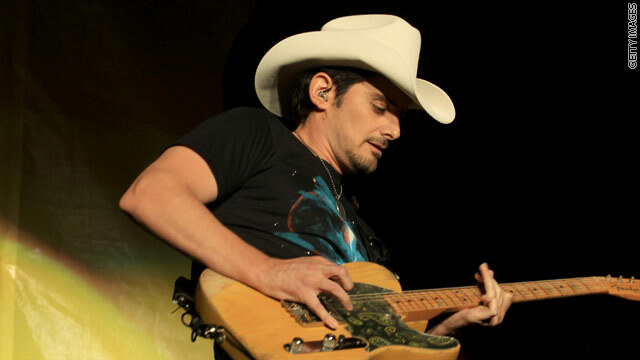 Country music star Brad Paisley will headline the USO's Fourth of July concert on the South Lawn of the White House tomorrow night. The first family is hosting members of the military and their families for the "Salute to the Military" concert. Paisley will perform in addition to the United States Marine Corps band, also known as "The President's Own". The event will also include games, a barbecue, and prime seats to watch the fireworks over the Washington Monument. According to the USO, more than 1200 troops and their families will attend the festivities. A salute to the military while at the same time gutting it, more hypocrisy from Obama. We need to ratchet down the war machine. Is this 4th of July concert being televised? A person necessarily help to make seriously posts I might state. That is the very first time I frequented your website page and thus far? I amazed with the research you made to create this actual put up extraordinary. Excellent job! A person essentially assist to make severely articles I might state. This is the first time I frequented your web page and to this point? I amazed with the analysis you made to make this particular put up incredible. Fantastic process! We're a bunch of volunteers and opening a brand new scheme in our community. Your website provided us with helpful information to work on. You've done a formidable activity and our entire group will probably be thankful to you. Attractive portion of content. I just stumbled upon your blog and in accession capital to say that I acquire in fact enjoyed account your weblog posts. Anyway I will be subscribing in your augment or even I fulfillment you get right of entry to consistently rapidly. It's perfect time to make some plans for the longer term and it is time to be happy. I've read this submit and if I could I desire to recommend you few interesting things or tips. Perhaps you could write subsequent articles referring to this article. I desire to read even more issues about it!